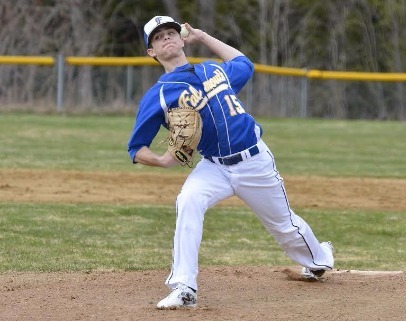 The Yachtsmen and Kennebunk exchanged the lead six times on Monday, but Yachtsmen, Falmouth, Maine ended up on top with a 5-3 win in seven innings over Kennebunk. Falmouth took the lead in the fourth inning and held on for the victory. Falmouth went up for good on an RBI single by Reece Armitage off Derek Smith, plating Tyler Gee. Robbie Armitage was solid at the plate for the Yachtsmen. Armitage went 1-2 and scored two runs. He tripled in the first inning. Reece Armitage pitched lights out for the Yachtsmen.. Armitage gave up just one hit, allowed one earned run, walked two and struck out nine during his five innings of work. #34 ended up on the wrong side of the pitching decision, charged with the loss. He lasted just three innings, walked one, struck out one, and allowed three runs. Falmouth jumped out to an early 1-0 lead in the top of the first. Yachtsmen, Falmouth's offense woke up as Armitage tripled before Armitage singled, bringing home Armitage. It didn't take long for Kennebunk to answer as it scored two runs of its own in the first. Kennebunk scored on a two-run single by Zander Kosmala. Falmouth brought home two runs in the second inning, and matched that run total in the fourth. In the second, Falmouth scored on a wild pitch, scoring Jessie Melchiskey.